William E. “Bill” Block, 58, of Hartford, Kentucky passed away Monday, January 28, 2019 at Owensboro Health Regional Hospital after a valiant fight with cancer. He was born January 22, 1961 in Louisville, Kentucky to the late Elmer Block and Rosemary Woods Block. Bill retired as a mechanic for the Cincinnati Metro Bus System. He was preceded in death by his parents. Survivors include his wife, Karen Block of Hartford; three sons, Steven (Jaime) Whitely of Echols, Chris (Veronica) Whitely of Horse Branch, and Sean (Elizabeth) Whitely of Erlanger, Kentucky; five grandchildren and one on the way, Gracie Whitely, Samuel Whitely, Andrew Whitely, Winston Whitely, Miranda Whitely and Willa Whitely due in March; brother, Tom (Anita) Block of Louisville; two sisters, Mary Ellen (Brent) Hoene of Seymour, Indiana and Barbara Hargrove of Louisville and two nieces and two nephews. Funeral services will be held at 1:00 P.M. Saturday, February 2, 2019 at William L. Danks Funeral Home in Beaver Dam, Kentucky with Rev. Danny Morgan and Bishop James Crump officiating. Burial will follow in Echols Cemetery in Echols, Kentucky. Friends may visit with Bill’s family from 4:00 P.M. until 8:00 P.M. Friday and 9:00 A.M. until the time of the service on Saturday at the funeral home. 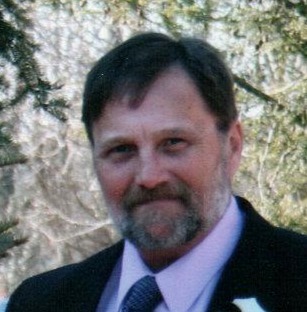 Online condolences may be left for Bill’s family at www.danksfuneralhome.com.